Packaging Detail: 1) Bundle by steel belts with protect of both end. 2) Threads of both ends with protectors. 3) Coupling with different colors for easy identification. 4) in bulk or cases. 5) Others by request. 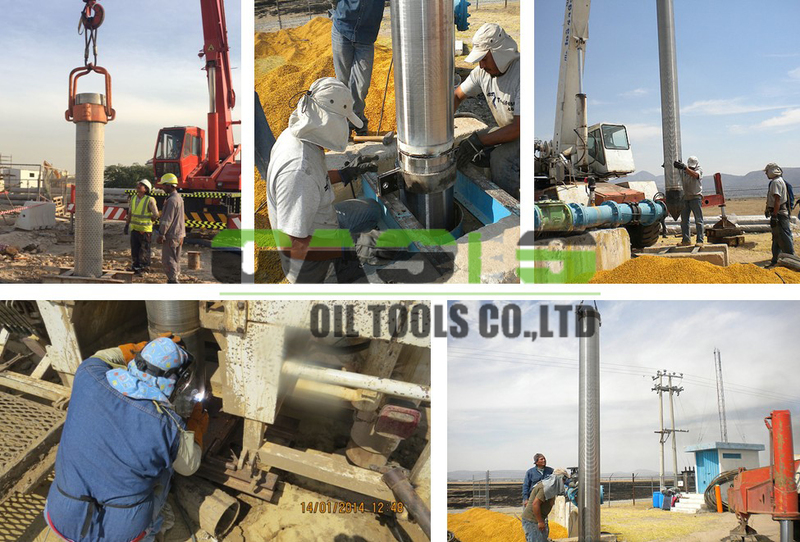 Oasis Oil Tools Co.,LTD, located in the industrial park of hightech enterprises in Fengquan District, Xinxiang City,covers more than 20000 square meters with total RMB 15 million investment. Oasis now has more than 150 staff,among them 6 persons are senior engineer. 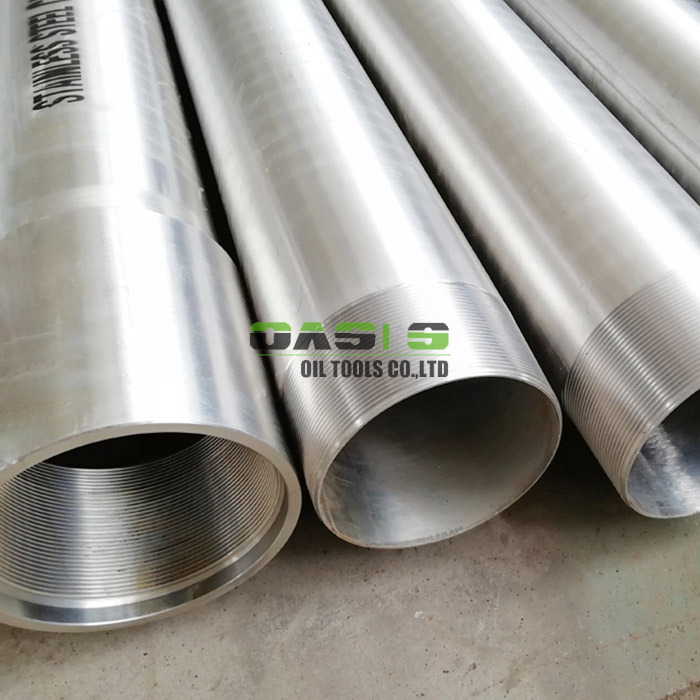 After many years’ efforts, now OASIS has developed into a professionaland famous manufacturer, which design, manufacture and sell water well screens/johnson screens,oil well screens and sand control well screens, bridge slotted well screens, pipe based well screens, perforated pipe (base pipe), gravel pre-packed well screens, wedge wire screens,passive water intake screens, API Casing and Tubing, etc.water, oil and gas well filtering products as well steel tubes and pipes and industrial parts. 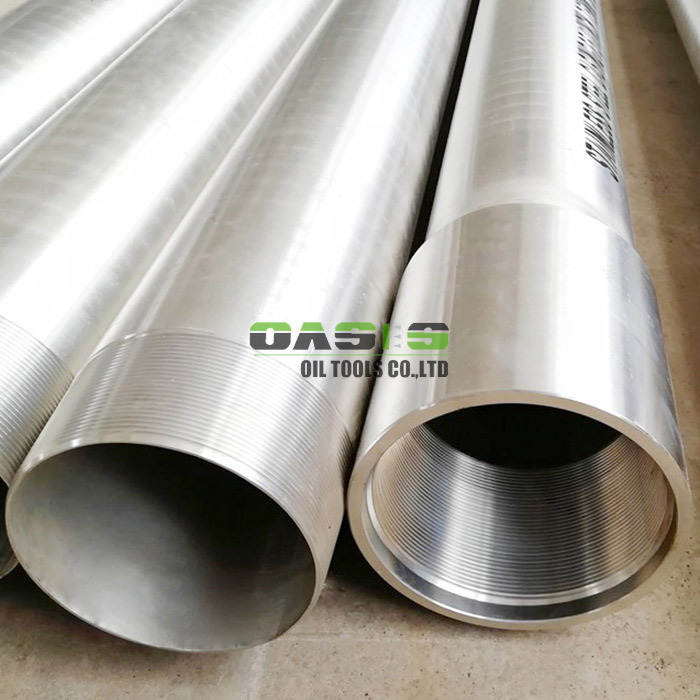 rel="nofollow" rel="nofollow" Why choose OASIS API 5CT Seamless Casing and Tubing for Well drilling? 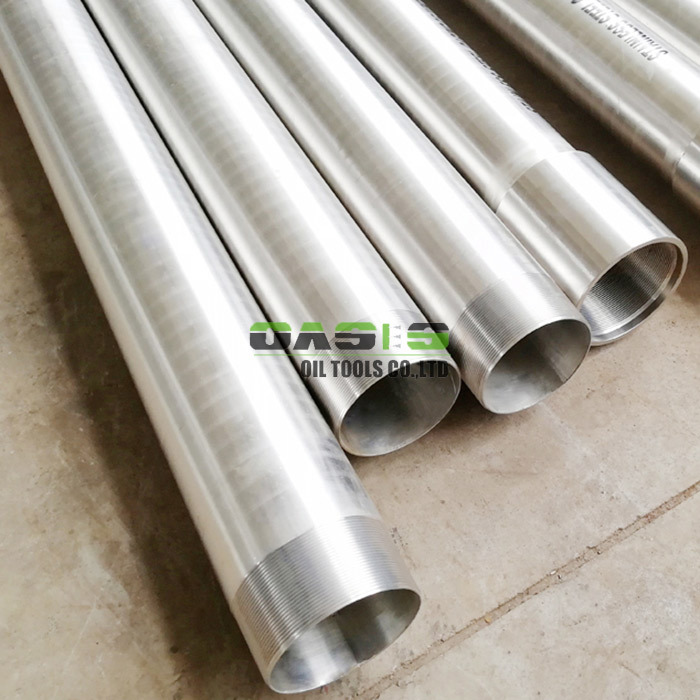 rel="nofollow" rel="nofollow" OASIS provide our clients with high quality Stainless Steel water well screen. 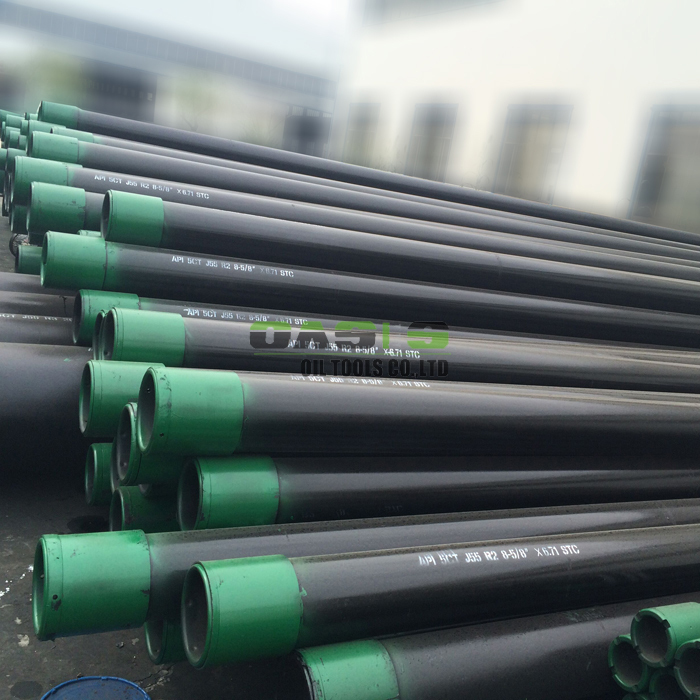 All products were produced according to the client requirement. 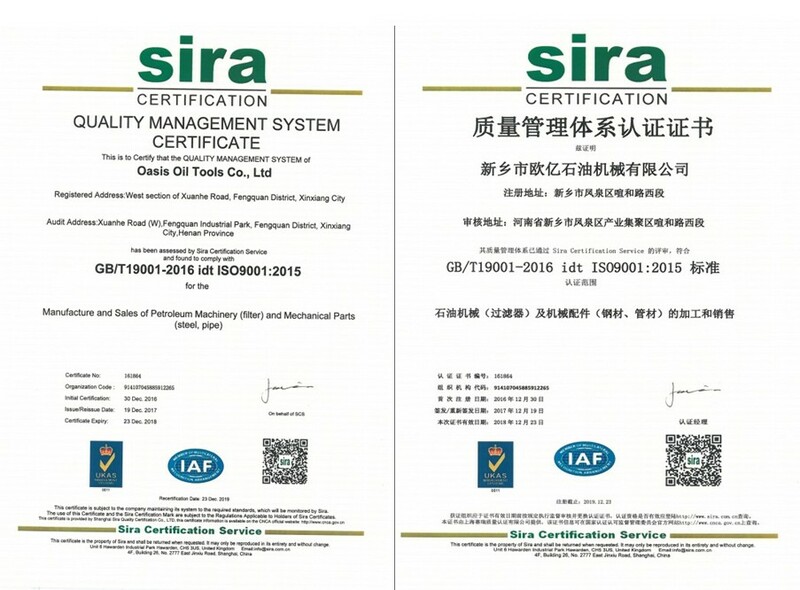 The productive process and final products of OASIS is controlled by third party test company such as BV, SGS, etc. or client's representative. 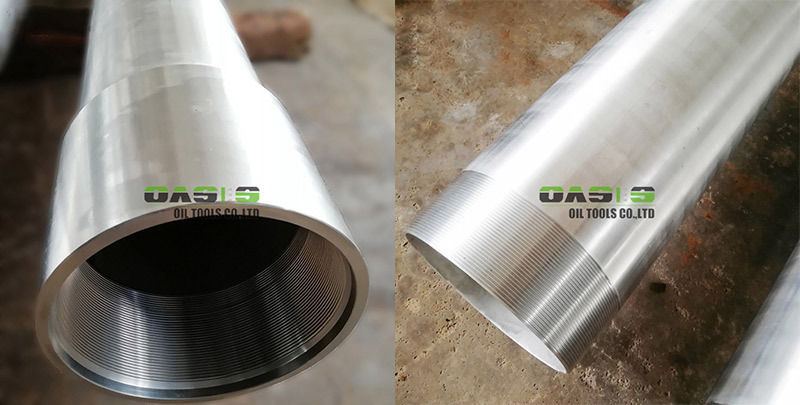 We OASIS can supply customer designed and engineered Casings according to our clients' requirements. 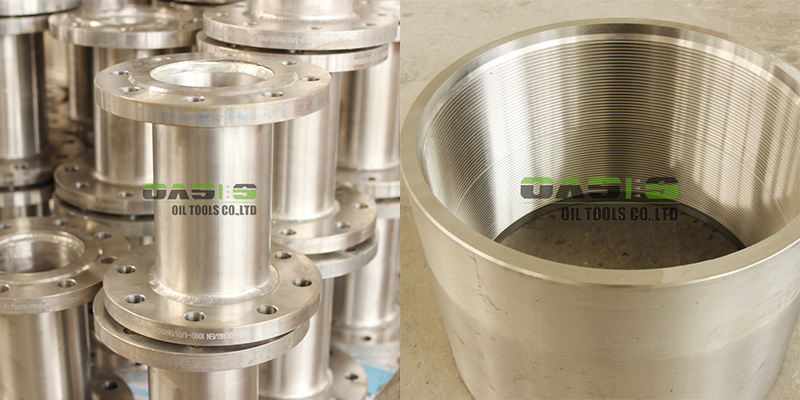 OASIS can prepare stock for our regular clients to meet clients' requirement at any time. OASIS screens have signed the file to protect the environment with our local Environmental Protection Administration. 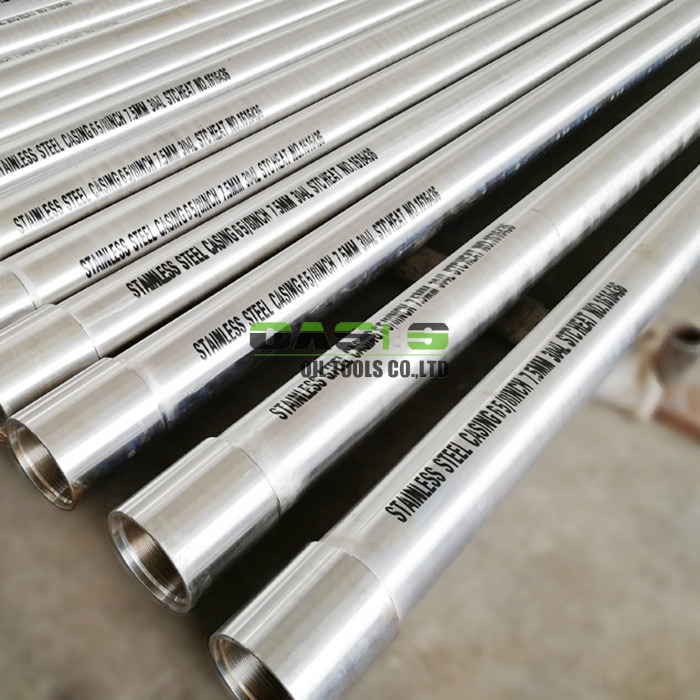 If you are interested in our rel="nofollow" API 5CT Seamless Casing and Tubing, please feel free to contact us. rel="nofollow" We are 24hours online to service you better. 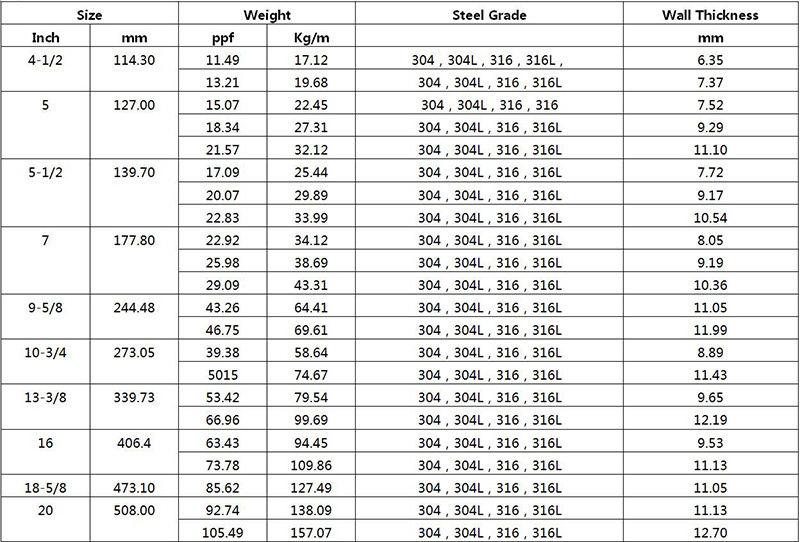 Any kind enquiry will get quick and professional reply.